Independent Living Benefit SPECIAL - Starting rate $5,095/month! Includes - 3 Chef Prepared Meals Daily, Cable, Internet, Utilities, Weekly Housekeeping, Laundry Services, and Daily Activities! Tribute at One Loudoun is new with low occupancy as they're still in the process of filling up. So far, everybody has been friendly and accommodating. The food has been good and the dining area is very nice, it's like going to a restaurant. There's a salon, crafts room, activities room where the residents can view movies or football games, and a game room. A shuttle bus is there for them to use for hospital visits, or school plays and things like that. We’re in Loudoun County, in the middle of One Loudoun, a new town center development that is the hottest place around. Shopping, restaurants, and movie theaters are just a short walk away. The property features a gorgeous, lush terrace and a restaurant, overlooking a brand new public park next door. 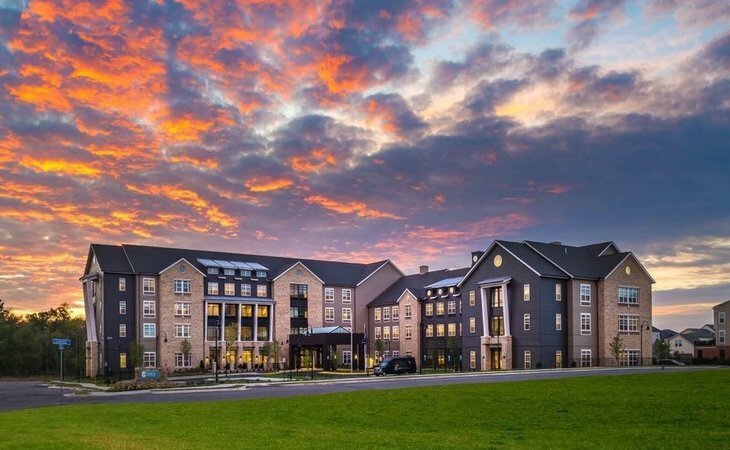 What should caregivers and potential residents know about Tribute at One Loudoun?